This week we published a spotlight on Pose which is a mobile app, canvas app and web site that provides users a way to express their style and discover fashion, beauty and trends from the around the world. 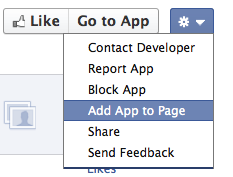 We recently added an "Add to Page" link to help Page Admins more easily add Page Tab apps to their Pages. The link can be found in the gear menu on App Pages associated with Page Tab apps. If you are a developer of a Page Tab app, you now have the flexibility of allowing Page Admins to add your app from your App Page (created via the Advanced section of the Dev App) or via a dialog integrated on your website or app. 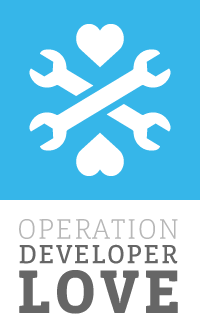 We have added a new order type to the credits daily detail report sent to each of our developers accepting payments. The new 'J' type is a reversal of a chargeback that happened out of the window. This means the chargeback has been reversed, but out of the standard 90 day window and is not counted against net payout previously received for the order. Even though this shouldn't affect your payout total, we provide the additional insight into these orders for reconciliation and risk use. More information can be found on reporting in our reporting documentation. We have updated our Platform App Case Studies section on the developer site, be sure to check out the great implementations we have featured! We will be deprecating the ability to claim domains with a Page ID. The recommended option for claiming domains is with an App ID or User ID and existing domains that have been claimed will continue to work fine. After claiming domains, owners are able to view insights or run Domain Sponsored Stories. Documentation for the domain claiming flow is updated here. We will make the Python and C# SDK repositories on GitHub private. These repositories are deprecated and may not work as expected due to changes in our auth system. Please refer to the Platform Roadmap for more information. Just a friendly note that we have started to add new breaking changes that will be effective on April 1st, 2012 and required by July 1st, 2012. For more information on these newly scheduled breaking changes, read below or see the July 1, 2012 section of our Platform Roadmap for more information. Time zones will no longer be returned for event start and end times. Facebook events do not support time zones. Events are intended to be created with start and end times that are specific to the location of the event. This has been a source of confusion within our developer community and exacerbated by numerous bugs. We have already made changes to our event creation code to fix these issues. We have a migration ("Timezone-less events") to disable event start_time and end_time from being returned from the Graph API with a time zone and this will be permanently turned on. The hours property of Pages will return times in the format HH:MM (e.g. "14:23") rather than the old format (a Unix time). Until July 1st, you can turn this on or off using the "Page Hours Format" migration. Until July 1st, you can turn this on or off using the "Graph Batch API Exceptions Format" migration. The wapdialog display mode will be removed. Between April 1st and July 1st, you will be able to turn this change on or off using the "July 2012" migration. After July 1st, wap dialogs will permanently stop working. No data returned when quering for online_presence for 'active' or 'idle' of friends (although some are online). Use Titan to handle gigaboxx requests... ??? In the photo graph api, "friend_photos" should be "friends_photos"
Desktop App flow is incorrect.